Adventurous food lovers who aren't so keen to spend too much on a meal should head further afield to one of Brisbane's most colourful and multicultural suburbs. Inala, on Brisbane's west side, is a place where your groceries are more likely to be wrapped in a Vietnamese newspaper than packed in a plastic bag and a meal there will give you change from $20. The largest concentration of restaurants and food stores is around the square and alleyways of Inala Civic Centre (confusingly known as Inala Plaza at the front section) where Vietnamese men play xiangqi at shaded tables. So pack a shopping basket and a healthy appetite and explore beyond Brisbane's traditional food precincts. Every centimetre of the shoulder-width aisles are jammed with kitchen goodies and gadgets you never knew you needed but suddenly can't do without. This is the place to buy that family-sized wok, lethal looking chopper or kitschy set of rice bowls. Pick up a pork pricker for the best ever crunchy crackling, a restaurant-sized pack of chopsticks or a hefty mortar and pestle for a fraction of the price of posh kitchenware shops. It's in a semi-industrial area in the neighbouring suburb of Oxley but worth a detour. Lovers of kitchenalia will be thrilled by the prospect of 600 square metres of treasures at this double-storey shed. There is everything from retro cookbooks to 1950s kitchen canisters, slow cookers to anodised cups, old tea sets to old jaffle irons. A bonus is the expertly made Veneziano coffee and Mad Cow Bakes cakes on offer. You'll never want to buy those sad little bunches of herbs from the supermarket again. Aficionados of Asian cooking will spot all the hard to find herbs and leaves in generous proportions, such as perilla, sawtooth, rice paddy herb and betel leaves. Clever cooks get here first thing in the morning, when the produce is still dewy fresh. 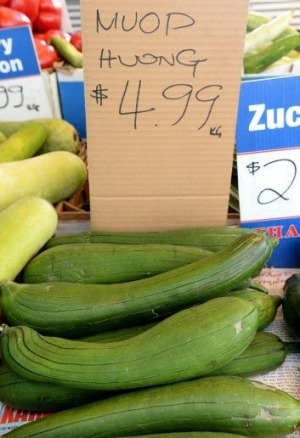 There are plenty of well priced vegies too, including winter melon and lotus root. Mon's stocks a staggering range of things from the sea. There are all the usual fish, clear-eyed and glistening fresh, but also heaps of other fish that might be less familiar, available both whole and filleted. Most of the produce is from Australia or New Zealand; including yellow-hued golden trevally and lemon sole, and local favourites such as flathead and bream. Crustacea and bivalves include north Queensland mud crabs and spanner crabs, live pippies and oysters, while tubs of prawns come from pinkie-sized school prawns to tigers as long as your hand. We suspect this place might have been partly responsible for the recent Sriracha shortage. The familiar rooster-emblazoned bottle is stockpiled here, along with a broad array of other Asian sauces and spices. Dried prawns are available by the scoop, along with catering-sized bags of dried fried shallots, bottles of pickles, sacks of rice, Asian sweets and fresh noodles in all shapes and sizes. There are many interesting Asian fruit and vegies, too. Yes, the location is as unprepossessing as the venue, down an alleyway off the main square across from the probation office. It's strictly no-frills and service can be brusque, but the constant turnover, especially at lunch times, gives an indication of Tan Thanh's popularity. Noodle-based soups are the go here, from pho to pork wonton. The belly-filling com tam-broken rice with a pork chop, pork skin, fried egg and pickled veg is also recommended. You know it's going to be fresh when someone's out the front energetically pounding herbs and spices into a paste. This neat hole-in-the-wall newbie dishes up Thai favourites that rarely veer from the middle of the road, but everything is top quality and made to order. Try the traditional pad Thai with choice of four proteins, a spicy larb or a refreshing som tum Thai (green papaya salad) in either Thai or Lao versions. An unassuming and no-frills venue, Kim Son serves traditional Vietnamese fare, from com to bun and more. But it's the pho that you should come for – arguably the best in Brisbane. The broth is simmered for eight hours, the ensuing flavours are expertly balanced and the broth is the perfect vehicle for the meat, including rare paper-thin beef slices, chicken or tender brisket. DIY fixings of Thai basil, lemon, chilli and bean sprouts (and plenty of tissues) are on the table. An appealing display of fresh fruit signals juices are on offer here, but really it's the bubble tea that's the drawcard. Milky and super sweet, the cold tea comes in a wide range of flavours and neon colours, with the choice of extras such as grass-, lychee- and strawberry-flavoured jelly or adzuki beans. 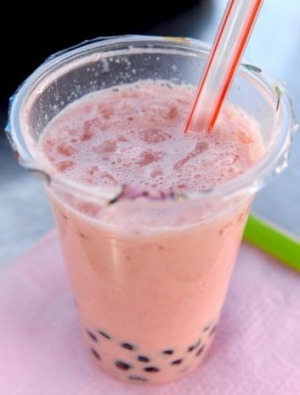 Or try it with "bubbles" – chewy, flavoured tapioca pearls that settle at the bottom of the tea to be sucked up through a fat straw. It's an argument that's re-examined every six months or so – where is Brisbane's best banh mi to be found? It's a close competition, but Minh Tan Bakery probably just takes the title from the other contenders. The baguette is explosively crunchy, and the fillings – butter, pork pate, pickled vegies, mayo, coriander and chilli – are always perfectly proportioned. Warning: it's delicious, yes, but it also makes for fiendishly messy eating.